One council was forced to cut a community bus service, while others are struggling to subsidise home maintenance services and others are being forced to hike rates, according to Minter Ellison's Susie Inat. There are questions over some South Australian local government disability services as funding moves to clients. Funding changes associated with the NDIS is forcing some councils to abolish certain disability services and others to subsidise from other areas, according to a lawyer who has worked with South Australian councils during the transition period. As part of the move to the NDIS, councils can no longer access Home and Community Care funding, which had enabled them to provide community support and home care services to young people with a disability as well as seniors. The change is causing a “shortfall” that is forcing some councils to pull services despite community expectations that they will continue, says Susie Inat, special counsel at Minter Ellison. One council was forced to cut a community bus service, while others are struggling to subsidise home maintenance services and others are being forced to hike rates, Ms Inat says. 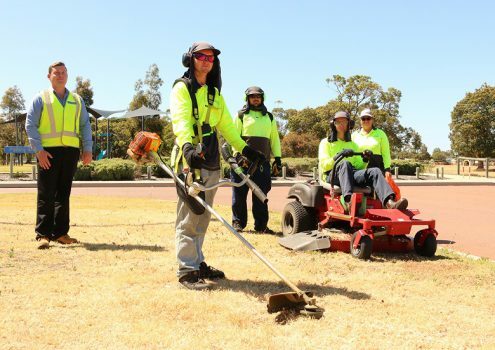 “A lot of councils do things like gutter cleaning or home maintenance that were subsidised by things like HACC funding and now if they continue those services they need to subsidise them through other ways, for example, rate increasing,” she told Government News. 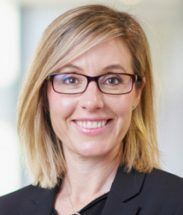 Concerns over the flow-on effect of the change were echoed by SA councils early on in the transition to the NDIS, with then president of the state’s local government association Lorraine Rosenberg saying in 2017 that a number of key services will inevitably have to be pulled under the changes. “Many activities that have traditionally been part of disability service funding… will be funded under NDIS. However, as councils run and facilitate a lot of these services and programs, there may not be many available to access, particularly in regional areas,” she said at the time. Ms Inat says many councils are now left frustrated as they manage community expectations that the services will continue to be delivered, despite the funding changes. The gap left by the HACC funding was partly filled by the introduction of NDIS Information Linkages and Capacity Building (ILC) grants, says Ms Inat. But the uptake of the grants by councils appears mixed, she adds. “Some councils have elected to step back and leave it to the not-for-profit and disability service organisations to pick up [some services]. Whereas some councils I know have been particularly active and seen ILC grants as an opportunity to innovate and provide services,” Ms Inat says. Ms Inat points to The City of Playford which introduced a program to support the indigenous community after receiving $350,000 under an ILC grant. The South Australian Government remains responsible for basic community care services for people under the age of 65 and indigenous people under the age of 50, the spokesperson added. “The NDIA can confirm that $3.5 million in ILC transition funding was provided to service providers in South Australia during 2016-17 and 2017-18, which included some providers of basic community care,” they said. A spokesperson from the SA Department of Human Services confirmed that although under the transition to the NDIS a number of HACC recipients will receive “similar services,” there will “naturally” be a reduction in funding for SA HACC services as people transition. “Local councils will be able to make decisions about whether they continue to provide these services under the NDIS in the future,” the spokesperson said. The Department is working with the sector to consider how it will partner with NGOs and local councils to support people with disability under 65 who are ineligible for the NDIS, the spokesperson said. The South Australian local government peak declined to comment.